According to the witness, who did not want to be named, Ibe had handed over the child to a housemaid. 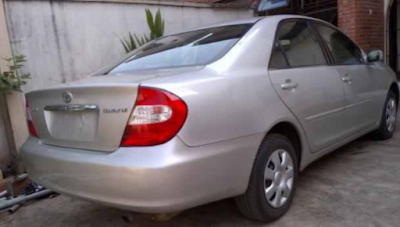 He reportedly asked the maid to take her into the house as he made to drive his Toyota Camry. Ibe was reversing the car when the child, who was at the back of the vehicle, was crushed to death. After alighting from the car in haste, Ibe, who was said to be in his late 30’s, saw that he had smashed the head of his only child. He reportedly carried the lifeless body of the child as he wept. “He wondered what he would tell his wife, who had left for a burial the previous day,” the source added. Punch Metro learnt that the child was taken to a mortuary with the help of friends and neighbours. The state Police Public Relations Officer, Mr. Andrew Enwerem, said the report had yet to get to him.